Become one of Gotham City's best-dressed! 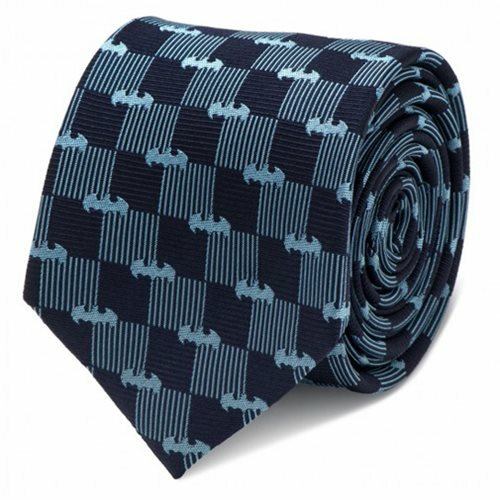 This Batman Navy Italian Silk Tie features a dark blue base color, with a cool light blue square pattern coupled with the iconic Batman symbol. Made from silk, this fantastic tie measures 59-inches long x 3-inches wide!